Does Classroom Temp. Effect Student Performance? The other evening, I came back into my dorm room to find my roommate sitting at his desk wearing a PSU beanie and a black leather coat. To clarify this is very out of the norm for him. I asked why he was all bundled up and he said that our room was too cold for him to focus. The temperature of the room felt like a crisp 68 degrees which is the perfect temperature for me to do my work. This caused me to consider what effect temperature had on a student’s performance and so I looked further into the concept. I found a study that was conducted on rats to assess the affect that temperature changes on their memory. The experiment observed the speed at which rats were able to react to a slight shock and find a smaller compartment in which the electrical current was not present. The study showed that at higher temperatures, the rats reaction times were slower, whereas in the cooler temperatures there was no difference in reaction time to the subject’s baseline reaction time. Learning that it did in fact have an effect on rats made me even more curious as to whether or not it had an effect on humans. 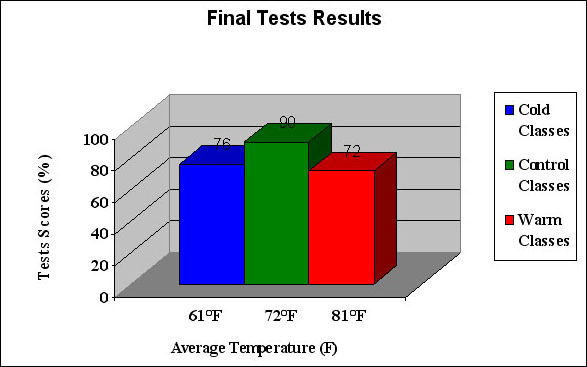 I was fortunate enough to find a study done by a school in Oregon in which students performance was observed in different temperatures. This study demonstrated that students are likely to perform better academically when the temperature is cooler rather than hot. That being said they will do their best when the temperature in the room is more neutral than not. Although this experiment rules out reverse causation, it still has several flaws such as the fact that the students in each classroom were taking different tests. All in all, these studies show that it’s better to work in a place that is cold rather than a place that is hot. The next time you study or work somewhere that’s hotter than normal, think about how that might affect your productivity. I guess since we do better academically in the cold, it’s a good thing that we all chose to attend school in State College. This entry was posted in Uncategorized on October 5, 2016 by Victor William Gregory. Canned Fruit: More Damage Than Good? 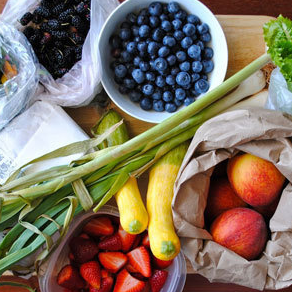 Growing up I was fortunate enough to have access to fresh produce: fruits, vegetables, protein etc. you name it I usually ate it organically grown. While my lunch box was packed with a fresh apple, many of my friends all had canned oranges or peaches. 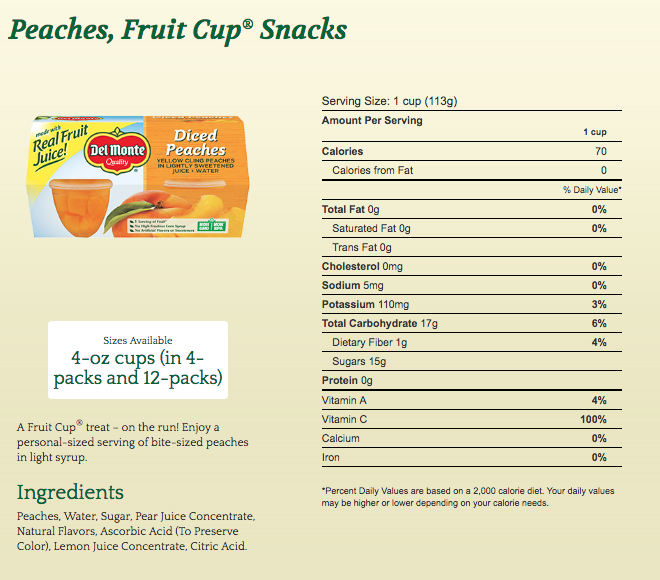 I’ve always had this partial mindset towards fresh produce and have found canned fruit gross, for lack of a better word. 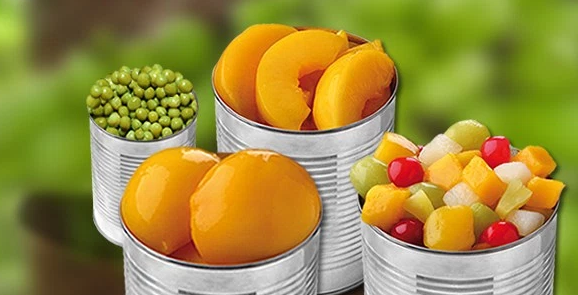 In addition to my disgust, I have always had this preconceived notion that it was actually worse than real fruit, or even worse to eat this canned fruit than no fruit at all. I understand that many families do not have the ability to provide fresh fruit to their children as it does cost a pretty penny and is also more time consuming to assemble cut up fruit rather than just throwing a pre-packaged item in the lunchbox. 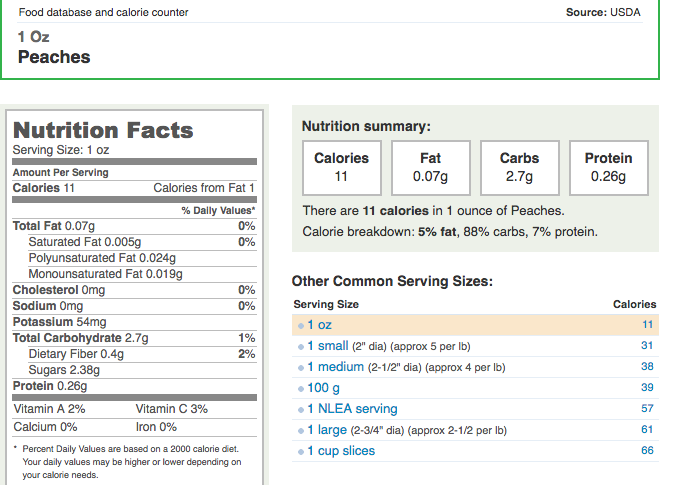 However, this curiosity drove me to ask the question: Is eating canned fruit worse than eating no fruit at all? After looking at these nutrition facts, it appears that a 4 oz. fresh peach in comparison to 4 oz. 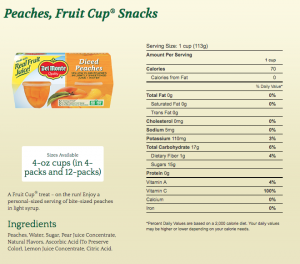 canned peaches is better in calorie, carbohydrate, and sugar content. 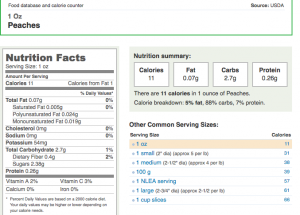 However, there is a slight increase in fat content in the fresh peach, but not much. As for a 7 oz. pear compared to 7 oz. 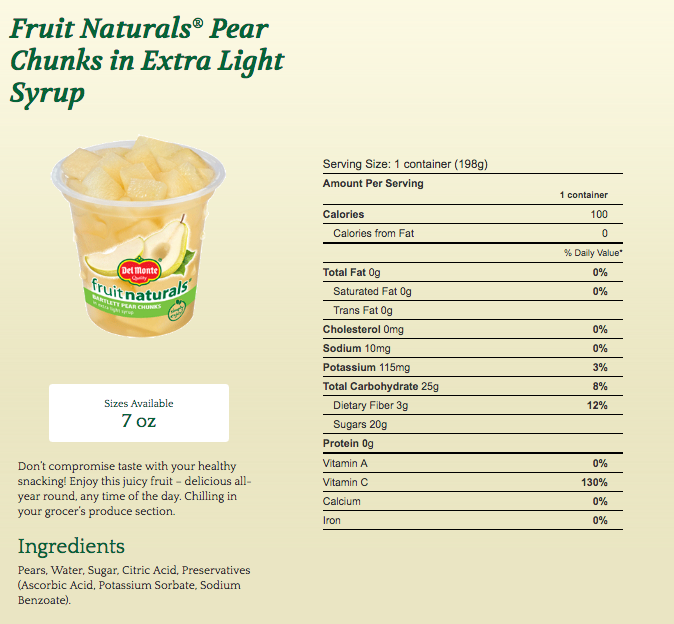 canned pears, they are both rather similar except for the fresh pear has no sugar content whereas the canned pear has an alarming amount of sugar. If I were to test this I would do a randomized double blind trial and have three groups of children ages 10-13. Before the monthly experiment began, I would record height, weight, age and take a blood sample to record blood sugar. Although this experiment may have some issues because we cannot control if some children have faster metabolisms or are more active, however it is randomized and therefore there is a variety. After a month, I would retake the health measurements and compare all the results. To wrap it up, I wanted to focus on the sugar content in these food groups because I believe sugar to be “the silent killer” in declining health. 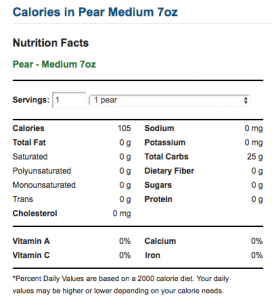 I think the takeaway in this blog post is to be aware of the nutrition facts of what your eating and to be aware of how much sugar you’re actually consuming in seemingly “healthy” options. This entry was posted in Uncategorized on October 5, 2016 by Natalie Elizabeth Burns. When’s the last time you had a bruise? Can you think of the first thing you did when you saw it? Chances are, you poked it to see if it hurt. We’re all guilty of doing this, whether we are aware of it or not. Personally, I am a very clumsy person, which results in the appearance of bruises all over my body. I would wake up and notice a bright red or purple bump on my arm and leg and think, “God, Olivia. Stop bumping into things!”. 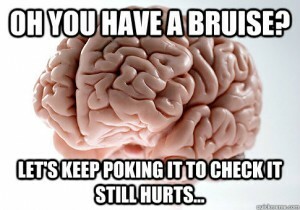 But of course, my first instinct is to touch it and see if it hurts. 99% of the time, it does. Why do we touch/poke our bruises? What (if anything at all) triggers our brain to test our own pain? It all starts with the bruise itself. According to Health, bruises are primarily caused by the rupturing of blood vessels, which leak blood out, forming dark red and purple marks on the affected skin. The intensity of the bruise relies on the intensity of the blow itself; the greater the blow, the darker the bruise. Additionally, the size of the bruise is directly correlated with the intensity of the blow and damage to the skin. 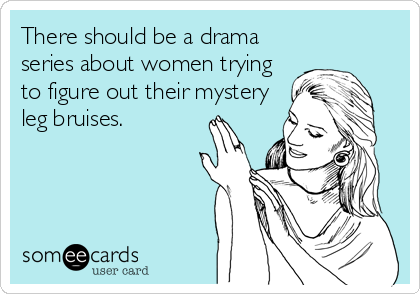 Some people, according to Web MD, are more prone to getting bruises than others. One factor is age, which means that older people are more likely to get bruises on their body. The protective layer of the skin is slowly diminishing, which makes blood vessels all the more vulnerable to harm. 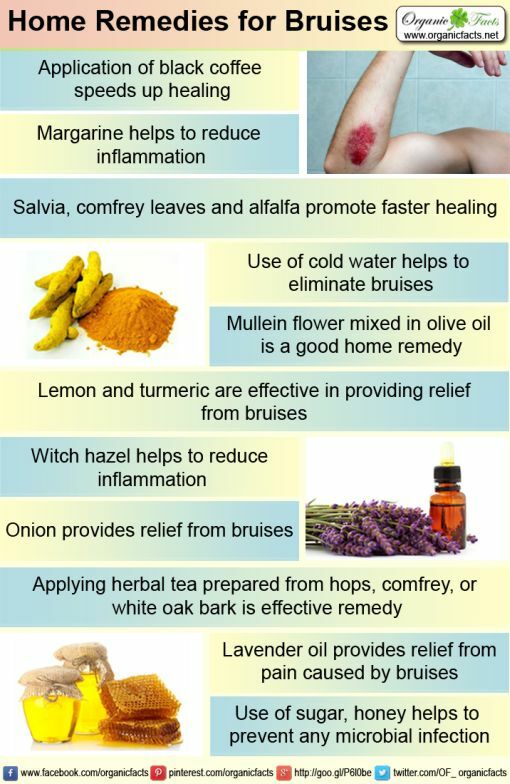 Another variable that makes people more susceptible to bruises is medication, which can increase the risk of bruising. Side effects of the medication may result in weakening of the skin, which increases the harm from blows to the skin. 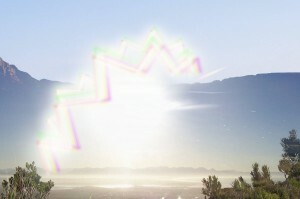 For those sun-tan lovers, skin is dramatically weakened through the harsh effects of the sun’s X-rays. Not only does the sun do harm to the skin, but it increases the risk of skin cancer. Wonderopolis describes the stages of a bruise. First, the initial popping of the blood vessels in the skin will cause a bright red or purple discoloration on the skin. The size of the bruise is dependent on the intensity of the blow itself. The body is able to metabolize and regenerate after a couple of weeks. Throughout the process, the bruise may turn several shades of green or yellow. Eventually, near the end of the healing process, the bruise may turn a darkish purple (could also be near-black) color. Now the real question: why are we prompted to touch our bruises when we see them? 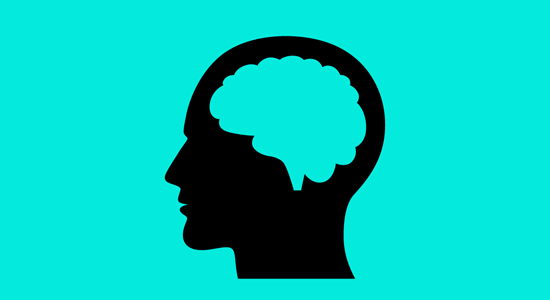 Zocdoc explains that there are pain receptors in both the skin and in the brain. 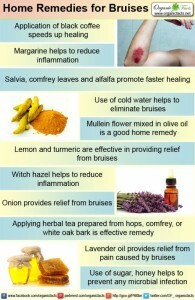 When we obtain bruises, the pain receptors in the skin are heightened and responsive to touch, vibration, and movement. The pain receptors directly in the muscle and skin are primarily geared towards feeling sensations (touch, vibrations, and light). Our instinctive response to touch our bruises is fueled by the stimulation of the nerves in our muscle and skin. 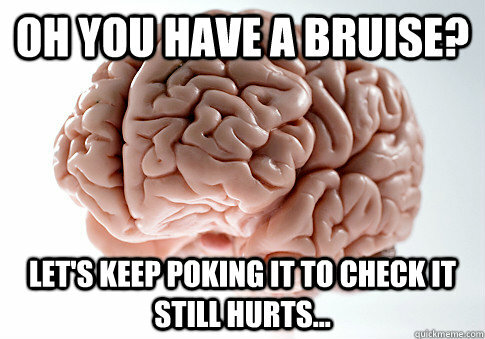 Massaging the area of the bruise acts to distract the abundant pain receptors, which is transmitted to the brain. The brain no longer recognizes the painful aspect of the ruptured blood vessels, but pays closer attention to the alternative sensations. -Use Ice (apply directly on the affected area for about 10-15 minutes). Reapply several times, alternating between putting the ice on and taking it off. -Use Heat (apply directly on the affected area for about 10-15 minutes). Reapply several times, alternating between putting the hot compress on and off. REMEMBER: If a bruise persists for more than two weeks, contact a health professional immediately. Always better to be safe than sorry! This entry was posted in Uncategorized on October 5, 2016 by omz5012. I have suffered from migraines for several years now, but luckily I only get them about once a year unlike some people who have them daily. The first time I got a migraine was in elementary school while I was having a flute lesson. It became increasingly difficult for me to play; I couldn’t feel my fingers that were supposed to be playing the notes, and I felt like I was in a dream-like state. This is an especially scary experience for someone in the fifth grade. Since then, I get migraines along with the terrible symptoms that go with them at least once a year. I have always wondered, why me? Why am I more likely to get migraines and why do I get them? Can these migraines be treated? A friend of mine’s mother suffers from chronic migraines every day and she has yet to find a solution to prevent them. I cannot imagine having to deal with the extreme pains of migraines on a daily basis. I decided to look into the science behind migraines. According to the statistics found on this website, migraines are actually more prevalent in women than they are in men. Not all people who get migraines suffer from chronic ones, but it is found that there are at least 37 million people in the U.S. alone who suffer from migraines. So why does one get a migraine? Many people live without knowing a true reason why they get migraines, but those who have a family history of migraines are more likely to get them. I can relate to this because my brother experiences migraines occasionally and my dad suffers from bad headaches every day. Some common triggers for people who get migraines are: different atmospheres with scents such as strong perfume or unsteady lights, certain kinds of foods, menstruation for women, and stress. Stress is the most common trigger for migraines. Those who live with chronic migraines may lose the ability to function in daily activities, cannot go to work, or cannot go to school. I know that when I get a migraine at school, I need to go home because I cannot function in a school environment. Some of the most common symptoms of migraines are vomiting and nausea, change in vision with blurriness, an aura, pains on different sides of the body, sensitivity to light and sound, and a large amount of head pain. Scientists have recently found a new experimental drug called TEV-48125 that may help people who suffer from chronic migraines. These new medications contain antibodies which block CBRP; this chemical causes blood vessels to expand and inflammation to occur in the brain during migraines. This is the first drug created to prevent migraines and it working could be monumental. Many other drugs have been used to treat migraines, but the only other one that can actually prevent them from occurring is Botox. A study was done with 261 randomly assigned patients who suffered from severe migraines. One group took injections of TEV-48125 monthly at a high or low dose, and the other group took a placebo for three months. The effects of this study appeared within the group who took the higher dose of the drug after three days, and those who took the lower dose took seven days. The conclusion of this study showed that within a week of taking the drug injection, patients saw a substantial improvements in their migraine pains. A similar study had been done prior to this new one in which the number of hours the patients had headaches each month significantly dropped after taking the drug. No serious side effects have yet to surface, however this new drug may be too expensive for patients to afford. If this study was done properly, it would be a blind study because the patients did not know if they were getting the drug or the placebo. However, it was not stated if the scientists knew who got what; it is unknown if it was a double-blind study. From the given information, this was a blind randomized control placebo trial that was also experimental because the scientists manipulated the variables. It is difficult to find the exact sources and treatments for migraines. Hopefully with the increase in new technology and medicine, we will be able to prevent migraines more easily. People will no longer have to miss work and be in great amounts of pain throughout their lives because of migraines. If you are not sure what it’s like to experience migraine pain and symptoms, this video can show you what people go through who do. This entry was posted in Uncategorized on October 5, 2016 by Alyssa Marie Frey. Should I Trust My Gut? Growing up our teachers, friends, and family always gave the same advice when it came down to making decisions. Trust your gut. But is this actually true. I can name many times when I have gone with my gut and been horribly mistaken. So why does everyone still say this? Does it actually work? There are actually two sides to this debate. 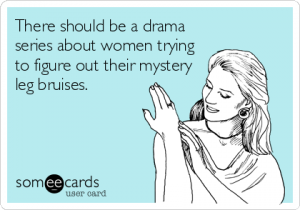 There are many scholarly written articles about trusting your intuition that defend this case but there are also many that question this. After reading into it I personally do not believe in “trusting your gut.” It really depends on the situation but if I am taking a test, I do not think the best thing to do is to go with my first answer. 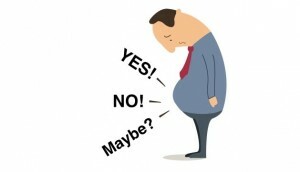 A study done in 2012 on the human decision processes said that gut intuitions are due to lack of awareness. When you know less about the situation you are in, going with your gut may not be the best decision. In this case you are more likely to be wrong. For example, if you were taking a test and were unsure of an answer, so you went with your first choice you may want to rethink this. Your intuition has a very good chance of being wrong. If you reread the question and look at it again and you see a different answer the chances are that one is the correct one. This is because the one you chose initially was due to your lack of awareness. After looking further into the question you now understand it more which will lead you towards the right answer. A different study from 1994 came to this conclusion after observing many students. They found that students are more likely to change their answer from a wrong to a right answer than a right to a wrong answer. Basically, the students who changed their answers tended to receive the better test score. On the other hand in a 2011 study, researchers hooked up participants to a heart monitor and monitored their heart rate as they played a card game. They found that the winners of the game were the ones who listened to their heart rate, aka the ones that followed their gut. They say that intuition is an automatic process based off of beliefs, experiences, and memories. Trusting your gut does not require any deep thinking. In this article, they also describe your intuition (your gut feeling) as a sixth sense that we mistakenly we glance over. They say this sense gives us the ability to organize chunks of information in a given time and make a educated decision from that. Overall, I think whether or not to trust your gut comes down to the situation that you are in. If you are being rushed and don’t have time to make a reasonable decision, going with your gut might be the right thing. But based on these two articles personally I do not believe in trusting your gut. 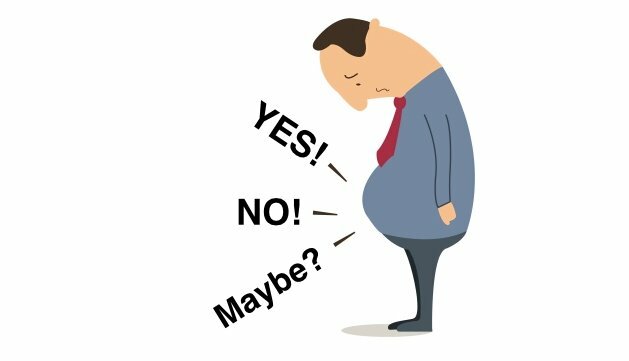 I agree with the first study that gut decisions are based off of lack of awareness and cause people to make a random and impulsive decisions. This entry was posted in Uncategorized on October 5, 2016 by Hannah Gluck. Genetically modified organisms, or GMOs for short, have been a hot topic in public health lately. And even though forms of these organisms have been around for decades, the fear surrounding the increased use of GMOs in our food source has garnered great concern for public health and well-being. There are many questions concerning the negative impacts of GMOs in our food source such as: are GMOs toxic to our organs? Will they alter our genes/DNA? Can they adversely affect our offspring? 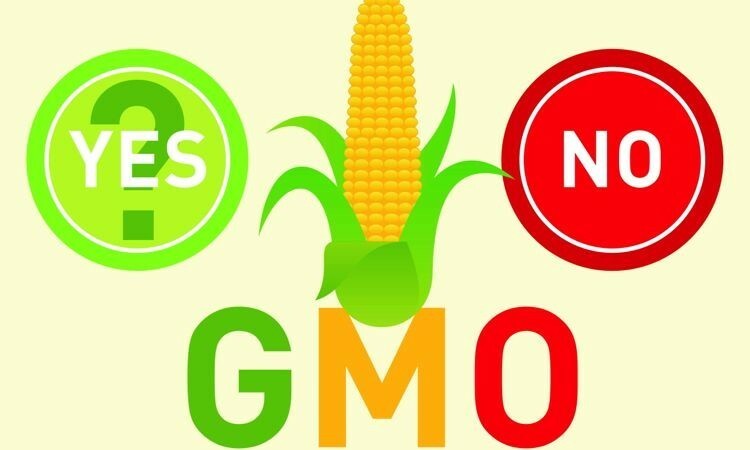 In this blog, we will look at a study from Harvard that addresses the toxicity of GMOs on our bodies based upon its own study AND a compilation of other, independent studies. There have been over 100 research studies concerning the toxicity of GMOs, many of which are conflicting. So who do we believe? There are strong opposing groups such as the Institute for Responsible Technology (IRT), that emphatically report the GMOs are toxic to all body organs. If you go to their website you can find lists of modified foods to avoid as well as a great many studies that assert the position that GMOs are toxic. Most scientists, however, have not been able to find evidence or duplicate the findings of the studies posted there and assert that GMOs are safe. Compounding the question of which source to trust, is the fact that there is an endless assortment of genetically modified crops, from corn to potatoes to tomatoes and peppers, in which we can study. Each crop is uniquely different (modified) and therefore operates in a different way within the body. In a study published by Megan L. Norris, a Ph.D. candidate in the Molecular, Cellular and Organismal Biology Program at Harvard University, a genetically modified potato containing the bar gene is fed to rats. The bar gene is an enzyme that detoxifies herbicides so that the potato crop is protected from herbicide use. Rats were used in the experiment in lieu of humans because a human study would be unethical. In the study, one group of rats were fed a diet the GMO potatoes while another group of rats were fed a diet of non-GMO potatoes. Each group contained both male and female rats, which were tracked and examined after death. There were no differences in the tissue of reproductive organs, livers, kidneys or spleens between the two groups of rats. A similar study occurred using GMO tomatoes and GMO sweet peppers. In this study, the rats were fed over 7,000 times the average human consumption for 30 days! Again, there were no differences found in the organs of the GMO fed rats. In conclusion, are GMO’s as bad as we first thought? Based on the studies I have looked at, they are not toxic to our organs. Even though many believe there is a government conspiracy to hide adverse affects, aka the file drawer problem, data from studies have been collected from many different sources worldwide. Because there is no moral obligation to label GMO’s, they have been in our diets for many decades. It would be extremely difficult to know if you were consuming GMO unless you grew all of your own food, and even then it would be difficult. I am compelled to believe GMO’s are relatively safe if time is any indication. But stay tuned, only time can tell! “Will GMOs Hurt My Body? The Public’s Concerns and How Scientists Have Addressed Them – Science in the News.” Science in the News. N.p., 2015. Web. 05 Oct. 2016. By the Third Generation, Most Hamsters Fed GM Soy Were Unable to Have Babies. “Health Risks – Institute for Responsible Technology.” Institute for Responsible Technology. N.p., n.d. Web. 05 Oct. 2016. This entry was posted in Uncategorized on October 5, 2016 by Alexis Paige. Does Being Cold = Catching Cold? Up until high school freshman year physics, I had always listened to my mom’ s advice: put a coat on or your going to get sick. Cold weather and catching the common cold always seemed to be directly related until my physics teacher claimed it was an old wives tale with little science to support it. From then on, I blindly accepted that cold weather does not lead to you getting sick and that leaving the house without a coat would only cause temporary chilliness and no other ailments would arise. Now, four years later, as a freshman in college, I am turning back to my mom’s advice as new studies are showing that the weather can very well affect your health. Previous scientific data supported that there always seemed to be a correlation between the low-temperature seasons of fall and winter and the rise in colds, however scientists often connected it to the indoor environment that cold weather creates. 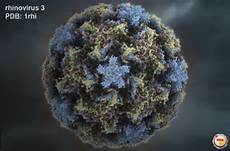 Human Health Line newsletter explains that catching a rhinovirus causes the common cold and the flu is caused my contracting the influenza virus. 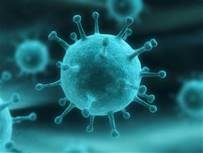 As temperatures drop, people are more likely to come in contact with these viruses as the cold weather pushes people inside and into closer quarters with each other. The dry air mixed with the central heating also creates an environment that these viruses can thrive in. George Washington University research suggested that by believing that cold weather directly causes one to be sick, people are failing to identify the actual causes of catching a cold. This could result in failure to take corrective measures to avoid viruses that are hiding inside warm environments. So what is making me re-think a belief I have held for almost four years? A recent study from Yale University has discovered that the cold weather may actually have an affect on the human body’s germ-fighting abilities. These researchers took a strain of rhinovirus that had been adjusted to affect mice and injected it into the rodents. They then monitored the airways of the mice as they were placed in environments set at several different temperatures. They found that in the cooler temperatures, the mice’s cells failed to fight infection as efficiently as they did in the warmer temperatures. At the normal body temperature, the mice’s cells reacted well, sending signals to unaffected cells to form and immune response where as the mice with lower body temperatures had a much weaker reaction from their immune system. Now this is one study and further research would be necessary to rule out chance. However, along with this potential direct causation being researched in the Yale study, there are other correlations surrounding the rise of colds during the cold seasons. Natural News reports that cold weather can dry out your nasal passage, expelling mucus, which serves as your immune system’s first form of protection. The take home message: Personally I hate being cold and I hate being sick therefore I will make the effort to bundle up this winter. It seems that you can’t lose by taking this measure so I would argue that throwing on an extra layer is certainly worth it. This entry was posted in Uncategorized on October 5, 2016 by Shannon Hughes. Dear College, you’ve turned me into an Alcoholic. Even prior to stepping foot on a college campus I was made very aware of the excessive drinking that takes place. It wasn’t till l came to college that I understood college student’s need to binge drink. As a Sophomore I have sort of become desensitized to drunken students wobbling down the street every weekend and I do not even bat an eye when I see someone passed out in the hallway of the residence halls. Has alcohol abuse become normalized on college campuses all over the world? I say yes. The entire culture of college encourages drinking and “turning up” as if it’s an Olympic feat. Why is that? 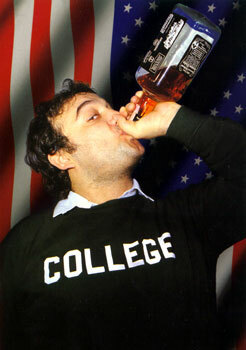 Is there a link between the stress of college and the amount of binge drinking college students partake in? There were some new findings discovered by a team of Canadian researchers, in their study titled “Acute Stress Increases Voluntary consumption of Alcohol in Undergraduates” This study discovered that the presence of short term or acute stress had an impact on the amount of alcohol consumed by college students in their undergrad. This study indicated that students studying in higher education institutions experience greater, elevated level’s of acute stress caused by financial burdens, the extreme workload, and/or the copious amount of exams (Robotham and Julian, 2006). Additionally, figures compiled by the National Institute of Alcohol Abuse and Alcoholism depict that more than 40 percent students in undergraduate institutions in America binge drink at least once in a a 2 week span. I’ll however argue that, that number significantly doubles the bigger the students on campus. Here at Penn State for example, I’ll bet that our students will attest to drinking once or twice every week; what we here at Penn State call “Mad Max Monday’s”, “Turn up Tuesday’s”, “Thirsty Thursday’s “and etc. Acute Stress is broadly described by psychologist and mental health professionals alike as a type of stress associated with situations or events happening in the present or near-future, along with recent past events and situations. Some indicators of this short term form of stress are; the “stress emotions” (depression, irritability, anger and/or anxiety). These individuals who continually experience acute stress reactions are said to have a separate and more severe form of stress exposure known as episodic acute stress. This I argue is what most college students have. Researchers at Queen’s University, in the study published in Alcohol and Alcoholism, used results they accumulated from a small experiment containing 75 individuals to gauge the impact that acute stress has on the binge drinking that college students partake in during a drinking session. These subjects were all college students in their undergrad years between the ages of 17 and 23. In their study, these researchers used a procedure called the Trier Social Stress Test to provoke and measure acute stress reactions in participants. In this study, some of the students had unlimited access to alcohol where others had unlimited access to the placebo -which was designed to look and taste just like alcohol or a identified non alcoholic drink. They prompted these students to participate in a half hour drinking session. After the study the researchers concluded that the students with access to alcohol substantially increased the amount they drank after they were exposed to acute stress. However, neither the subjects who received the placebo or the ones receiving the clearly identified ‘non-alcoholic beverage’ had an increase in their level of consumption when exposed to acute stress levels. So based on their findings, the conclusion was that stress levels have a significant impact on the amount of alcohol consumed by college students in a typical drinking session. What this goes to prove is that there is a correlation, not a causation -given there’s other mitigating factors, between the amount of stress college students withstand in higher education and the amount of drinking they participate in. in simpler terms, Universities are helping to turn our students into alcoholics. If interested in this conversation further, here’s a study on the Prevalence of binge drinking and associated behaviours among 3286 college students in France. A paper on the Influences of Stress and Beliefs on Alcohol Use. As well as a study disagreeing with the points I made, concluding that there is no relationship between high stress levels and harmful alcohol use, based on research done on 221undergraduate students in Botswana. This entry was posted in Uncategorized on October 5, 2016 by Stephanie Keyaka. 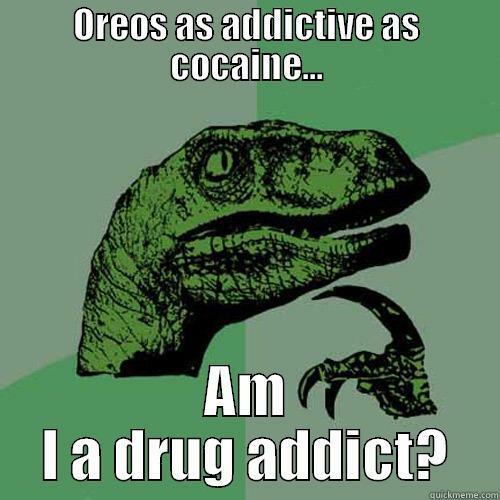 Are Oreos as Addictive as Cocaine? If you’re anything like me, there is no such thing as eating simply one Oreo. You lift back the cover, eat a few cookies, and next thing you know, 2 sleeves are gone. Coming in various forms such as peanut butter flavored, “cakesters”, and “double stufed” there is no shortage of Oreo products. It’s as if the whole world, including myself, cannot get enough of the Oreo flavor. This had led many people to believe that Oreo products are addicting and question whether or not they may be even more or just as addicting as drugs like cocaine. Students at Connecticut College ran a study to test the addictiveness of foods high in sugar such as Oreos. The experiment was tested on lab rats with rats on one side of the maze given Oreos and the other, the control, rice cakes. They then recorded which side of the maze the rats chose to go to and how much time was spent on the Oreo side. (While it is not relevant to the results, I found it funny the study found that the rats broke the cookies apart to eat the cream in the middle just as many humans do). The results of this Oreo/ rice cake test were then compared with a second test. In the second test, rats on one side of the maze were injected with cocaine and morphine, while on the other side they were injected with saline (Conn. College). After comparing the 2 test results, it was found that the rats spent just as much time on the Oreo side of the maze as they did on the cocaine/ morphine side of the maze. Students then tested the level of neuron activation in the area of the brain know as the “pleasure center” under both stimuli. They found that more neurons were activated “under the influence” of Oreos rather than cocaine or morphine (Conn. College). Even though this study was performed on rats, it is probable that these results could pertain to humans as well. In addition to Oreos, these results likely could have come from any high- fat/ sugary food suggesting why many people may have a problem over eating. Many researchers and nutritionists also suggest that these foods may even be more dangerous than addictive drugs because of their affordability and availability. 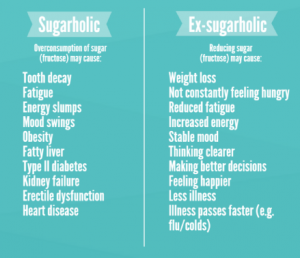 It appears that lower income families tend to consume more foods high in fat and sugar, regardless of whether or not they are bad for them, because that is the only option they have. 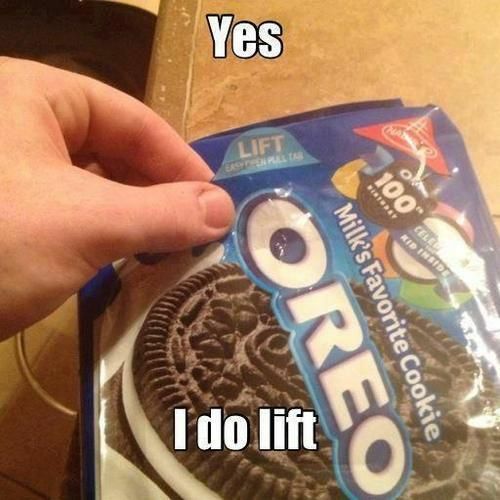 With the many facts provided, one can see that Oreo addiction is a real matter. After recent studies, scientists have concluded that the chocolate creamy goodness is a mouthwatering treat that many people can’t resist. While there may not be any accounts of “Oreo overdoses” I’m sure if you ask any Oreo lover they will agree that Oreos are addicting and undeniable. This entry was posted in Uncategorized on October 5, 2016 by aeh32. I read an article that was released by Netflix that discussed how 61% of all of their streamers tend to binge watch a show regularly. Having so much time on my hands has allowed me to fall into that 61% category myself. Recently one of my favorite shows “Narcos” came out with a season 2 on Netflix, and my roommate and I watched all 10 episode within the span of 4 days. While we enjoyed our time, I couldn’t help to think that spending so much time binge watching a show could have any positive affects on our bodies. I mean it involves sitting in one spot for multiple hours, the light reflected on your eyes can cause straining, and you are isolated from the outside world. Besides those facts, I decided to research other health impacts that binge watching T.V. can cause to your body and what I found was extremely shocking. Binge watching a show has several affects on the health of your body, ranging from becoming anti-social to an increased risk for heart disease, cancer and diabetes. An article on www.rd.com. summarized how if you are regularly sitting for long periods of time without a break can lead to heart diseases, cancer, and diabetes. This is because when you sit still your blood pumps slower and your muscles burn less fat which ultimately leads to fatty acids clogging your heart. So if you happen to be sitting for long periods of time watching a show, your risk for a heart disease increases. The reason behind why Binge watching a show regularly can lead to diabetes is because it involves very little movement to no movement at all. An article on the causes of diabetes lists inactivity and sitting for long durations of time one of the leading reasons for people getting diagnosed with type 2 diabetes. The lack of movement leads to burning calories a lot slower which adds up if you are binge watching a show for multiple hours, which increases the risk of diabetes. Lastly, around 56% of people who binge watch shows rather watch them by themselves than with company and almost 100% of binge watchers, do so at their homes. Spending such a large chunk of time watching a T.V. series instead of going out and socializing can be un healthy for you and can lead to making you more anti-social. Now before you binge watch Narcos like I did, think of this article and most importantly the health of your body and the harm you may be causing to it. This entry was posted in Uncategorized on October 5, 2016 by dhc5097. with smog problem for several years and in December 2015, Chinese government triggered the first red-alert warning for smog in Beijing. ( Lowenberg, 2015) The air quality index (AQI) was over 250, more than twenty times the level recommended by the World Health Organization. Smog problem exerts tremendous influence on citizens in Beijing and the government has been making efforts to mitigate this problem. Plus, there are three things with relationships mentioned in class ought be noticed here. The industrial pollution causes smog is direct, the smog makes more industrial pollution is reverse, and Chinese government air law which relate to both of them is confounding. Nowadays, people in China are increasingly aware of the smog problem because personal health is a priority. According to the Environmental Protection Agency (EPA), it can be dangerous to breathe in too much smog. Smog contains a health-harming pollutant called ozone. Elevated levels of ozone have been shown to cause a variety of negative health effects in the lungs such as coughing and throat or chest irritation, worsening asthma symptoms and difficulty in breathing and lung damage. Beijing is seen as a showcase city to prove China’s development to the rest of the world. However, it is notorious for air pollution in recent years. ( Freeman, 2016) Industrial smog is one of the biggest components of smog in Beijing. 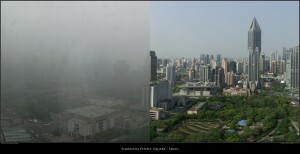 In this essay, I will analyze three possible solutions to smog problem in Beijing and try to figure out the best one. The third solution is using cleaner energy and encouraging cleaner technologies. 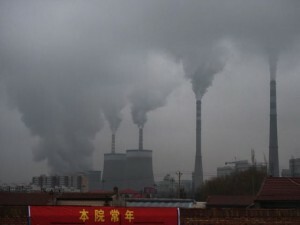 China’s industrial revolution is coal-powered and has been on a striking scale and speed, resulting in serious environmental implications especially the industrial smog. Nowadays, China still relies heavily on coal but the smog problem draws increasing attention. ( Sudworth, 2015) Cleaner energy including nuclear, solar power, natural gas and hydro power will not exert negative influence on environment so if Beijing can use more clean energy than depending on coal, the air quality will likely be improved. Cleaner technologies such as developing carbon capture and sequestration technologies for coal and renewable energy technologies should also be taken into consideration. Beijing can learn from similar experiences of other cities. As mentioned before, Mexico City encouraged cleaner technologies in 1992 as one of a variety of methods to combat smog. ( Lowenberg, 2015) New York is another successful example in fighting smog. In order to reduce air pollution, New York uses not only less, but cleaner sources of energy to generate electricity for its more than 8 million residents, including natural gas, nuclear, and hydroelectric. ( Shekhtman, 2015) Beijing has already carried out this measure in small range and met mixed success: downtown Beijing no longer uses coal to heat homes. However, there is still small-scale coal burning in the peripheral areas – often using lower-quality coal that causes worse pollution. ( Freeman, 2016) The weakness of this solution is that it will take a long time and cost a huge amount of money. 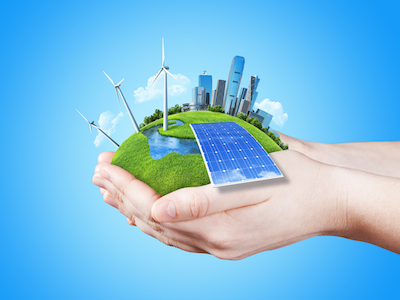 Because the technology level of Beijing still need improving, it can be extremely costly to use clean energy on a large scale and encouraging cleaner technologies also require time and fund. We can not expect an instant change in this solution. I support the third solution because I believe it can solve the problem at root and it is beneficial to sustainable development of the city despite time and capital are required. Coal is dirty and non-renewable and burning coal is the biggest component of Beijing’s pollution. According to estimates by Greenpeace, coal consumption accounts for up to half of China’s PM2.5. ( Freeman, 2016) We should find a way to become less dependent on coal and cleaner energy along with cleaner technologies is the best choice. Given the severe smog situation in Beijing, it is high time that we should pay attention to making use of cleaner energy and developing cleaner technologies. Chinese government also tried to make long-term improvement. In Beijing in mid-October 2013 the government announced that 5 billion RMB will be allocated to curb air pollution. ( Ewert, 2013) and Beijing will allocate 760 billion yuan (about 124.64 billion dollars) to improve the city’s air quality by 2017. 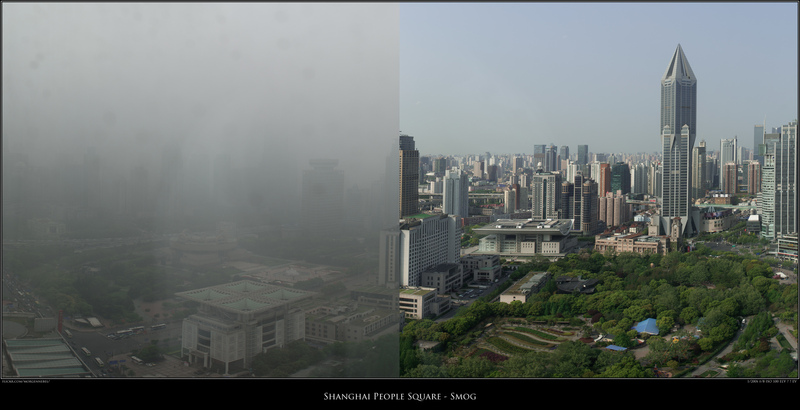 ( McKirdy, 2014) We can see from the data that government is allocating more money to solve smog problem in Beijing. With enough time and fund, using cleaner energy and encouraging cleaner technologies can eventually be achieved and the people in Beijing will no longer suffer from industrial smog. In conclusion, I introduced three solutions to industrial smog in Beijing. First is government establishing some laws and regulations. Government is essential in combating air pollution and laws and regulations are indispensable. However, this measure usually proved to be not efficient in many cases. The second one is relocating industry. It seems that this method can exert instant effect but it just solves local problem and the price of this solution is worsening air pollution in other areas. The third solution which I support is using cleaner energy and encouraging cleaner technologies. Although it may take time and money, it can solve this problem thoroughly and it is the best choice for long term development of the city. 1.Lowenberg, O. S. (2015, December 21). Beijing’s red smog alert: How other cities dealt with air quality disasters. Christian Science Monitor. p. N.PAG. 2.Shekhtman, L. S. (2015, December 8). Beijing smog: What makes some cities cleaner than others? Christian Science Monitor. p. N.PAG. This entry was posted in Uncategorized on October 5, 2016 by Zihan Wang. While eating dinner in the West Commons I looked at all the other students sitting around me. I noticed that all the smaller students were eating significantly slower than those who were larger. Could the speed they eat at be connected to their weight? I decided to look into this and what I came upon made me slightly alter my question. Does eating slower decrease the amount of food you eat causing you to lose weight? I found an article that discusses how it takes your body twenty minutes to know whether it’s full or not. It goes on to talk about how there are ways of going about this, if you have a difficult time slowing yourself down. Two examples of this are gastric-bypass and a retainer designed by dentists that is put on while eating as to reduce mouth space and decrease your food intake. I also found an observational experiment, in which participant’s food consumption was tracked and sometimes controlled. Is the connection between weight and rate of food intake directly correlated? Or could the connection be explained by reverse correlation? The volunteers for the study had to meet specific criteria in order to participate. All third party influences that could affect appetite were excluded from the study. None of the 48 participants smoked, had a preexisting medical issue, nor did they take any medications that would have an effect on appetite. Each participant had a baseline meal in which their average consumption rate of food was tracked. The next time they came for the meal, they were told they would be prompted to eat. Every time they were given an auditory prompt, they were told to eat a piece of the popcorn chicken provided. In this initial observation, they were prompted to eat at the same rate they had eaten the chicken the prior day. This was to get the participant acclimated to the study. The next time they were observed, they were given an audible prompt at a much slower rate than the participant was used to. In the third observation they were prompted at their normal speed and then half way through, at the reduced speed. This displayed a curve in the consumption and was meant to affect the participants hunger. During each of these meals, the participants were told to inform the experimenter when they were full or finished eating. At the conclusion of the study, the data showed a definitive change caused by the deceleration of the participant’s consumption. The experiment showed that, in both men and women, the desire to eat and the hunger of the participants had decreased. However, it did so more in women than in men. The instructed consumption of the chicken directly affected how hungry they were, and how much they were able to eat before feeling full. So if eating more slowly causes us to want to eat less, does that mean we’ll lose weight? From this study alone it’s difficult to say. However, it isn’t unreasonable to give it a shot. There’s no reason why it shouldn’t at least have some effect on your weight. We eat every day. Many of us tend to eat much too fast. We always look for round about ways of changing our diets but we never stop and think that maybe the easiest thing to do is just to slow down. What can you take away from all of this? 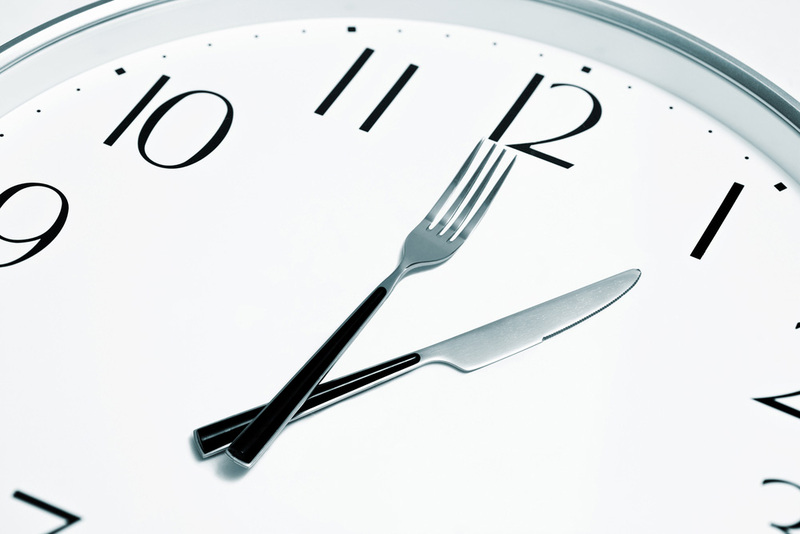 First, if you eat your meals a little slower than usual, you’ll feel less hungry sooner. This will cause you to consume less food each meal. Second, if you eat less food at a slower rate then you’re less likely to feel hungry as the day goes on. Finally, your newly controlled eating habits could have a positive effect on your weight and overall health. Protein is vital to the health and development of humans, but its availability and expense can leave people lacking a proper diet. A quick, efficient solution to this problem is powdered protein that can be mixed into water or milk, or ready-to-go protein shakes. The soluble powder product allows for easy transportation and consumption of protein. This development has sparked a variety of companies and brands that have taken many different approaches to selling their protein powder or shakes. Many factors differentiate the products such as the amount of protein, flavor, solubility, texture, or additional nutritional benefits. The marketing campaign for most of these brands is focused on bodybuilding trends, workout fads, and athletic competitions. The campaigns advertise either bulking up, slimming down, or recovering from strenuous physical activity. One company that has become synonymous with protein shakes is Muscle Milk. Although their primary protein shakes boast many grams of protein and amino acid content per serving, they also produce a line of protein powder called Muscle Milk Naturals. Although the Naturals formula is intended to replicate natural human milk with minimal additional additives, the scientific remodeling that is done in order to reproduce the natural substance strays from the product’s advertised dogma. The description of the product includes its benefits in the building and recovery of muscles, as well as not using artificial flavors, sweeteners, or colors. The description goes on to say that the product “features a custom protein, peptide, and amino acid matrix patterned after human mother’s milk”. This means that each compound that makes up this protein powder would have to mimic actual human milk. Surprisingly, the company’s claims were somewhat consistent with the scientific research performed by Pediatric Clinic of North America. The clinic determined that human milk during gestation periods is composed of whey and casein, which are commonly found in protein powder. The research also referred to peptide as a component of human milk. However, the amino acid matrix that the product description refers to appears to be jargon. The text on the components of human milk does not describe the amino acid makeup, therefore making it difficult to determine whether or not the product could mirror human milk’s amino acid matrix. The protein content in human milk is significantly less than that of Muscle Milk’s protein powder. Although the amount of protein in human milk is determined by the stages of the gestation period, it never approaches the 32 grams of protein in a serving of Muscle Milk Naturals. The typical percentage of protein content in human milk is 0.9%. Since the US Food and Drug Association has not come up with a definition for the term “natural”, many companies have been given sufficient leeway. The ingredients for Muscle Milk Naturals sounds like a considerable amount of leeway: Protein Blend (Calcium Sodium Caseinate, Milk Protein Isolate, Whey Protein Isolate, Whey Protein Hydrolysate, Whey Protein Concentrate, Lactoferrin, L-Glutamine, Taurine), Cane Sugar, Natural Flavors, Sunflower Oil, Cocoa Powder, Maltodextrin, Canola Oil, Medium Chain Triglycerides, Crystalline Fructose, Less Than 1% Of: Potassium Chloride, Soluble Corn Fiber, Inulin, Dicalcium Phosphate, Magnesium Oxide, Potassium Bicarbonate, Stevia Extract, Soy Lecithin, Dl-Alpha Tocopheryl Acetate, Monk Fruit Extract, Ascorbic Acid, Ferrous Fumarate, Vitamin A Palmitate, Niacinamide, Zinc Oxide, Copper Gluconate, D-Calcium Pantothenate, L-Carnitine, Cholecalciferol, Pyridoxine Hydrochloride, Thiamin Mononitrate, Riboflavin, Chromium Chloride, Folic Acid, Biotin, Potassium Iodide, Cyanocobalamin. Human breast milk only has casein, riboflavin, and trace amounts of whey in common with the listed ingredients. 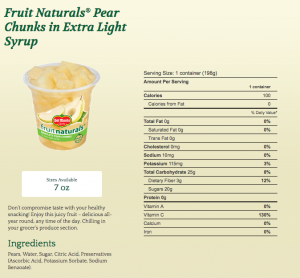 However, “natural flavors” may be considered a component of breast milk. The process for making the product is not clearly defined on the website, making it difficult to determine the strength of the term “naturals”. Since the formula is in a powdered form, it would not be reasonable to think that natural processes formed the substance. Even though Muscle Milk Naturals attempts to be unique from any product because it mimics human milk, the only difference from Organic Muscle Milk is that it isn’t ‘Certified Organic’. 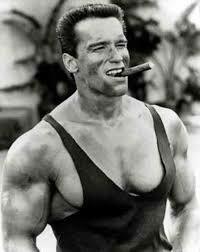 Therefore, it could be theorized that Organic Muscle Milk is actually more natural than Muscle Milk Naturals. CytoSport boasting a potentially misleading label is not relatively new for the protein company. 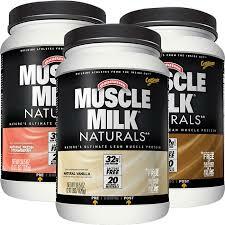 In 2009, Andrew Newman of the New York Times reported that Nestlé, the worldwide producers of many dairy based products and more, was suing Muscle Milk because the term ‘Milk’ was misleading. Nestlé argued that Muscle Milk’s use of the term led consumers to believe that they were drinking a dairy based product. The U.S Food and Drug association defines milk as the lacteal secretion, practically free from colostrum, obtained by the complete milking of one or more healthy cows. However, according to Newman, the FDA is not overly strict when it comes to the enforcement of the definition. This is exemplified by the allowance of soy milk to be labeled as milk as well as other non-dairy milks. In 2011, CytoSport had another legal battle over a misleading label. In 2011, a consumer sued Muscle Milk for having misleading information on their ready-to-go bottles such as “healthy” and “healthy, sustained energy”. According to the FDA, drinks that claim they are healthy and are low fat must have no more than 15% saturated fats composing the calories. Muscle Milk did not meet this requirement. The settlement resulted in CytoSport having to take the “healthy” off of the label and pay an impressive 5.3 million to settle the lawsuit. The two lawsuits do not directly relate to the distinction on whether or not the Muscle Milk product should be labeled “natural”. However, it indicates that Muscle Milk is no stranger to stretching the truth on their labels. They use buzz words. The buzz word “healthy” lost them a considerable amount of money. Although the Muscle Milk Naturals doesn’t directly claim to be “Natural”, aside from the sweeteners and flavoring, using the buzzword at all to try and make a product more attractive has proven to be a dangerous marketing scheme. This entry was posted in Uncategorized on October 5, 2016 by Francis Patrick Cotter. Why people like hot and spicy food? I’m from China. My roommate also comes from China， but more accurately she comes from Szechuan Province. Have you heard of Szechuan in southwestern China? Maybe not. 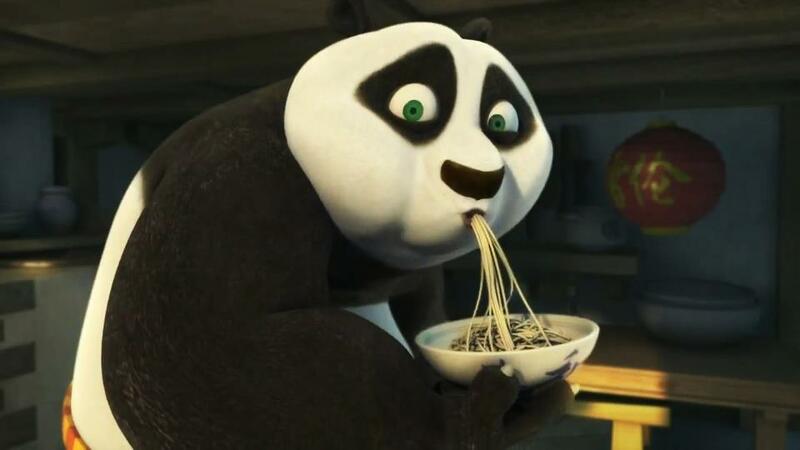 But you probably know that there is a restaurant in the downtown named “Little Szechuan”. 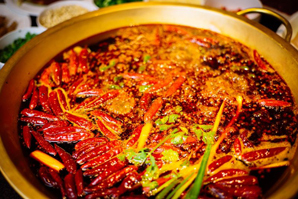 The most common favor of “Little Szechuan” cuisine is hot and spicy. I think Szechuan Cuisine is the most popular cuisine in China. Not only in China, but also around the world, many people enjoy eating hot and spicy food like chili peppers. According to psychologist Paul Rozin of the University of Pennsylvania, about a third of the people around the world eat hot peppers every single day. When I eat spicy food, my mouth feels like it’s on fire. It sounds terrible, but actually I like that feeling. So why people like hot and spicy food? Let’s talk about spiciness. Spiciness, is not a taste or a flavor, like sweet, salty or sour. Spiciness is pain. According to the science of spiciness of TED-Ed Original, the chemical compounds in spicy foods can activate the type of sensory neurons called polymodal nociceptors which are in mouth and nose. When people eat chili pepper, you have the feeling that it’s on fire is because your brain thinks it’s burning. Eating spicy food just likes torturing ourselves. This makes me more confused that it seems that people enjoying spicy food are masochistically inclined. I have found many different views about the reasons people like spiciness. According to James Gorman’s article, some professionals think that people like chilies due to their benefits which can help people lower blood pressure, have antimicrobial effects and increase salivation so that people have good appetite. Some experts have different opinions that the pain brought by spiciness can kill other pains. The views should be supported by experiments so we can say that the conclusion can show the causal relation between chilies and other pains. So I find a research which is a file drawer about how chilies can be used to treat pain. Chili peppers’ heat comes from capsaicin which is a compound produced to prevent the peppers from fungal attack. The summary shows that capsaicin helps to reduce pain in part by depleting body’s supply of substance P which is a chemical component of nerve cells which connected to pain signal in the brain. What’s more, it also works by de-sensitizing sensory receptors in the skin. But all I mentioned about are about the physical benefits but not about personal preference. So I think perhaps, people enjoy chilies because chilies have addictive properties. However, my idea refuses by Dr. Rozin who I have introduced above. What’s more, Dr. Rozin argues that our ability to enjoy experiences that logic says it is an example of a hedonic reversal that it is the word hedonic coming from t he Ancient Greek hēdonikos, meaning pleasure. This only happens in human because the feelings of aversion and pleasure overlap largely in human brains. Thus, they both release some chemicals makes people happy. So actually because our most intricate mind and most complex brain, a large part of people enjoy spiciness. As a result, I think that’s very magic that people enjoy the pain, chilies because we regard this pain as pleasure. This entry was posted in Uncategorized on October 5, 2016 by Luyi Yao. 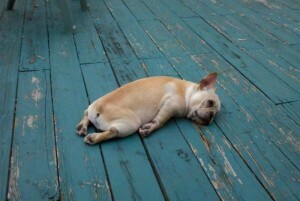 Do you ever find that no matter how much you sleep, you still struggle with dragging yourself out of bed? If you fall short of the recommended 8 hours of sleep, you wake up feeling like you never even slept. On the other hand, if you get more than 8 hours, you wake up not knowing what day it is, still being exhausted—well you may not but this is how I usually feel. As I lay here at 3 o clock in the morning beginning this blog, still wide awake, I can’t help but wonder why this is. As college students we deal with probably the most messed up sleep schedules of our lives. This is why I am posing the question of which is worse: Over sleeping or under sleeping? Both cases, whether it be too much or too little sleep, come with consequences. 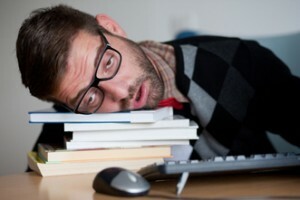 In an article done by HealthStatus.com, it lists several negatives associated with oversleeping. These ranged from effects on metabolism and mood to even more serious issues like the lack of water and oxygen sent to the brain. On the flip side, lack of sleep can be just as impacting on your health. This article published on center4research.org explains how attention span, motor skills and even mental health are just a few of the many aspects harmed. Even with all of this in mind, we still must take other factors into account. Don’t forget that correlation does NOT equal causation!! As we learned there can be many confounding variables (or a “z” variable) that are actually causing these health effects. The cause of your health problem may not be from the lack/abundance of sleep. Other possible causes of these health issues could be traumatic events, stress, or even just genetics. If we were to look at a case of depression for example, a person may not be depressed due to their lack of sleep; it may just actually be from a chemical imbalance. A result of this depression could be the reason that they are losing sleep. According to this article, there are plenty of possible causes of depression other than lack of sleep. After much research, I have come to the conclusion that there cannot be a definite answer on whether over sleeping or under sleeping is worse. In this article, it mentions how everyone’s body is unique which means that the proper amount of sleep for each person differs. This being said, certain amounts of sleep may affect people differently. Though both cases can cause a plethora of health defects, neither is better than the other. All I can recommend is that everyone try to figure out what sleep schedule works best for themselves. 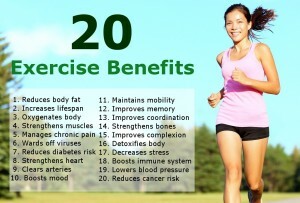 It is vital that we all stay healthy during college at a time when work and paying attention in class is so important. This entry was posted in Uncategorized on October 5, 2016 by Jen Malespina. One of the most widely discussed issues in America is obesity. I want to explore how it begins. I know there are potential leads such as oral fixations, a predisposed genetic history, and beginning the poor habit by yourself. However, I want to dive deeper into how each of these reasons may lead to obesity. If Americans knew more about what was causing them to become obese, they put more effort into stopping the trend. Oral Fixations: Have you ever noticed yourself constantly biting your nails or chewing gum? Then you might have an oral fixation. An oral fixation can be described as constantly needing something to chew on or eat. Most young develop this due to breast feeding, using passifiers, and teething toys. However, these fixations may sometimes go away after 8 months, Flow Psychology says. So naturally, people who feel the need to always have something to chew on sometimes turn to something edible rather than the end of a pencil. Food. According to the book, Exploring Psychology, people eat food to satisfy feelings of guilt and anxiety, which at the time feels amazing and comforting. However, over time this is what leads to the uncontrollable cycle that is obesity. Genetic History: In some cases, people can be born with a “poor-deck of cards” dealt to them, but it doesn’t necessarily predict their definite future. If a person has family members who have genetic conditions which make them obese, it just makes them more susceptible to be obese themselves. I’ll reiterate…just because somebody is genetically predisposed to “be obese” does not be they necessarily will be. 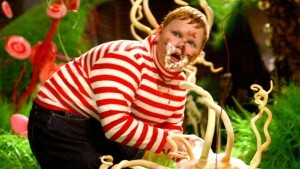 There is a lot of action people can take if they are at risk for becoming obese. Some examples are an extensive exercise plan and a specific diet. So, there are many causes for obesity in America, not all of which are the obese person’s fault in the slightest. However, it is the responsibility of the obese person to take action in order to maintain a healthy life. This entry was posted in Uncategorized on October 5, 2016 by Danielle Megan Sobel.